BANJARMASIN, Chairman of the Indonesian Orchid Association Hj Mufidah Jusuf Kalla asked for orchids in the forest that still exist are not sold overseas, to meet the domestic demand is fulfilled. This he said on the sidelines of the exhibition "Anggrek Meratus Orchid" Show in Banjarmasin, South Kalimantan, on Wednesday (11/03/2010). So far, many orchids are sold abroad, either through direct purchase to the merchant of orchids in Indonesia, as well as researchers who had come to seek new orchid species in Indonesia. Mountains Meratus itself, is known as a center of orchid in South Kalimantan. 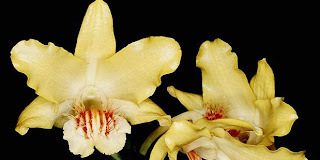 "There are an estimated 2000-3000 Indonesian orchid species in Borneo, and some live in Meratus. Orchid is steadily decreasing due to the exploitation of natural resources," said Chairman of the Regional Leadership Council PAI Kalsel Rosehan Aida.